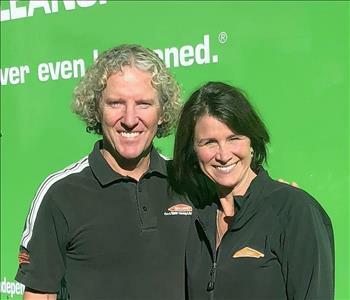 John and Kimber Allen started their first SERVPRO franchise in 2002, SERVPRO of Carson City/Douglas County/South Lake Tahoe. 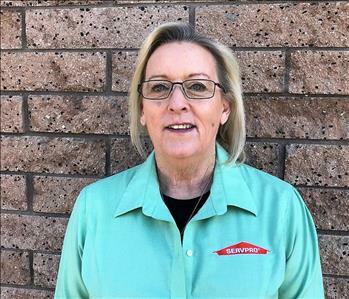 Prior to 2002, they were affiliated with SERVPRO through extended family connections. 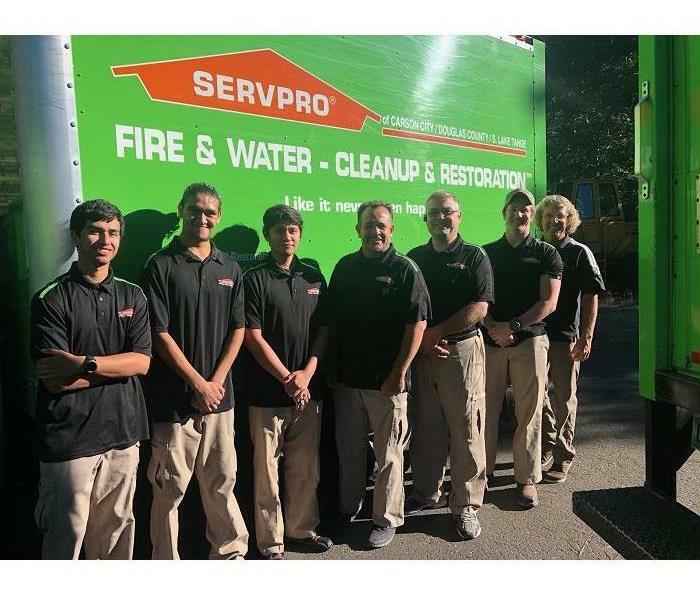 Owning a SERVPRO franchise has helped them contribute to the communities they cherish in terms of service and philanthropy. It is John and Kimber’s priority to cultivate and instill personal growth in each SERVPRO team member. As team culture and training have grown over the years, the Allens can attest that it is their customers who benefit. 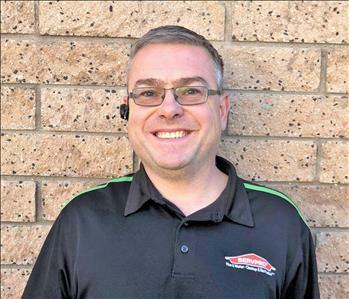 Their SERVPRO Team and customers are of utmost importance to John and Kimber. In addition to running a successful franchise, the Allens recently celebrated 25 years of marriage, and have had the privilege to raise three boys. 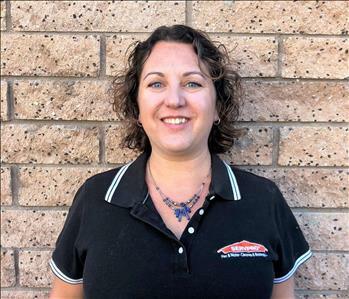 Laura has been with SERVPRO since 2016. She hails from Southern CA and worked in management for 10 years for Port of Subs. She is IICRC Water certified. Her favorite thing about her job are all the great people on Team Allen. When she isn't working she enjoys spending time with her family and new grand baby! Zoltan has been with us since 2005. 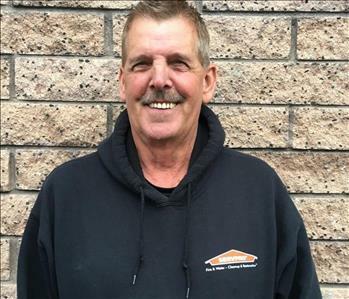 He oversees our production crew, calling on 25+ years of expertise in custom flooring, cabinetry and damage mitigation to produce incredible, professional results. A native of Hungary, Zoltan settled into Northern Nevada in 1989. A Connecticut native, Sarah makes her home in South Lake Tahoe. Her background includes experience in bookkeeping, business management and project management. Her favorite thing about working at SERVPRO is her co-workers! She greatly enjoys helping people in need. When she is not at work, you can find her hiking, swimming, boating, snowshoeing or skiing. Toni has been with Team Allen since 2013 and has served as Office Manager as well as HR Admin. Toni hails from South Florida and has senior level management experience in the HVAC industry. 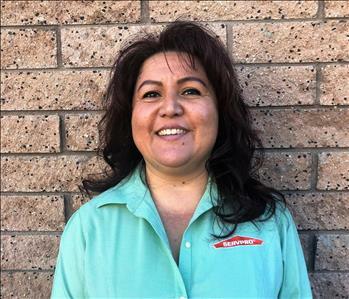 She is IICRC certified as a water damage restoration technician. Toni loves working for employers who "care for you and prepare for you." When she is not at work, she enjoys hiking and cooking for friends and family. Anthony moved from Lake Placid, New York to join Team Allen in 2017. His background includes experience in marketing, business development, high school music teacher and full time musician. Anthony has an Associates Degree in Humanities & Social Sciences, a Bachelor's in Arts and a Masters degree in Music Education. He is IICRC certified in water and Fire. When he isn't at work, you can find him hiking, mountain biking or playing music around Tahoe or California with one of his 2 bands. Goal: To inspire the uninspired! Joe's background includes experience in sales & marketing, management in travel/leisure/hospitality industry, production & construction in set/stage design (Entertainment Industry). 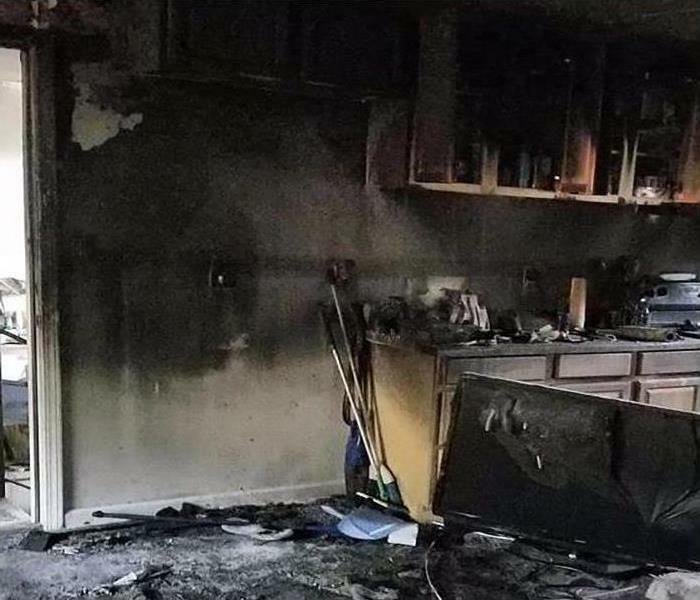 He is IICRC certified in Fire damage restoration. Joe loves the "purpose & what SERVPRO stands for." He likes to be out in the field meeting new clients and networking. When he's not at work, Joe enjoys playing guitar and other instruments. When the weather is warm you can find him on the golf course or hiking in the Sierra's. 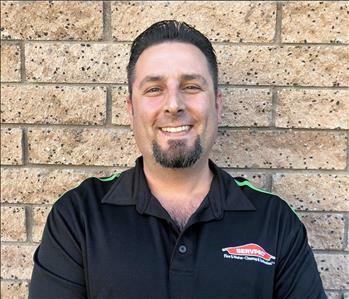 Originally from Minnesota and California, Dan joined the SERVPRO team in 2018. His most recent employment experience includes mold mitigation work. His background work experience is more unique and features golf instructor and race car driver! In his free time, Dan enjoys golfing, music & horses. Born and raised in South Lake Tahoe, Austin has been with Team Allen since 2015. He especially likes doing demo and the rebuild process. 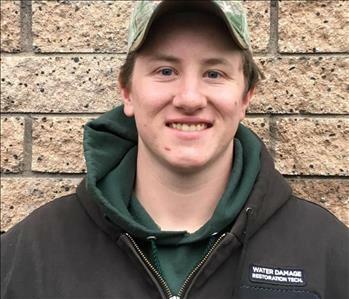 Austin is IICRC certified as a Water Damage Restoration Technician. When he isn't at work, Austin enjoys ski racing, target shooting, metal crafting and working on his diesel truck. Adrian comes to us with a wealth of U.S. Forest Service experience. 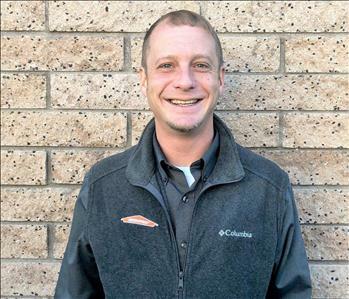 In addition to being a Production Technician at SERVPRO, he also serves as Crew Member & Assistant Crew Leader for the U.S. Forest Service and is a volunteer firefighter at Fallen Leaf Fire Dept. He likes, "helping people on some of their worst days." "My team is made up of very friendly people." 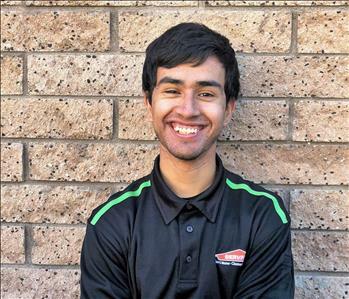 When he isn't working at SERVPRO or the Forest Service, Adrian enjoys hiking, snowboarding, biking & video games. Armando likes biohazard jobs because he likes helping people. 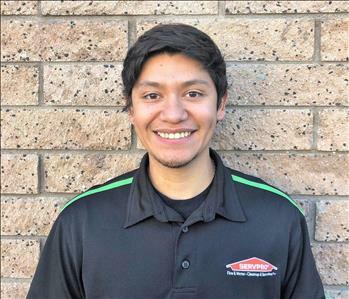 "A day at SERVPRO is always different; it's never the same and I like that. We give each other a hard time sometimes, but we are like a family; we love and care for each other." 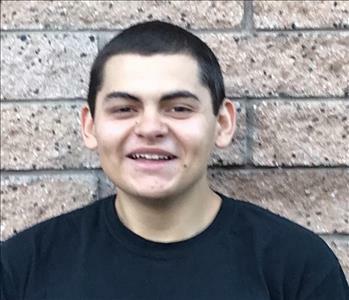 When he isn't at work, Armando enjoys drawing, working on his truck and spending time with friends and family. "I want to change the world for the best." Luis is a South Lake Tahoe native and also has a background in the U.S. Forest Service. 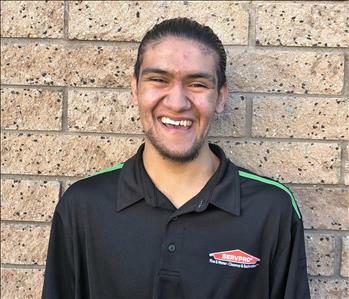 “I like working hard and working as part of a team.” Luis always brings a positive attitude to the job! When he isn’t at work, Luis enjoys spending time with family and working on cars. 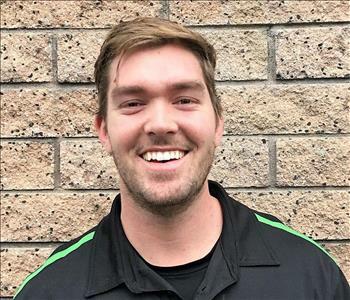 Jason joined our team in 2018 from Bakersfield, California. He likes working as part of a team. Jason brings enthusiasm and a hard work ethic to each job. When he’s not working, Jason enjoys spending time with family, friends and playing video games. Gabe comes to our team with experience in construction, electrical work and pest control. Originally from Morgan Hill, California, Gabe holds an Associate’s Degree in Communications. He enjoys his co-workers and giving 100% each day. In his spare time, Gabe is very active in youth ministry and enjoys snowboarding.